I am currently playing about 2 - 3 hours a day, Monday to Friday. Since returning the Rocktile I have been playing one of my Shine guitars. Don't like it as much as the "Vee". This afternoon I had a shot on my American Strat, using my Zoom G3X, and, though it has the newest string in my stable (only 3 years old), it has probably been played the most. I noticed the G was getting a bit tarnished in places, so I replaced the strings. Used a set of Elixir Nanoweb 9's. Not the easiest of jobs when you have a cat trying to impale itself on the string ends, during the entire process. Now all I have to do is keep up the enthusiasm and make it all worth while. Especially as my brother gave me a very expensive leather strap for my 70th, which I put on the Strat. I too changed 18 month old strings today and the guitar now sings sweetly again. I had to change them as I will be playing on Sunday and feel ashamed that I had let them get that old and tired. 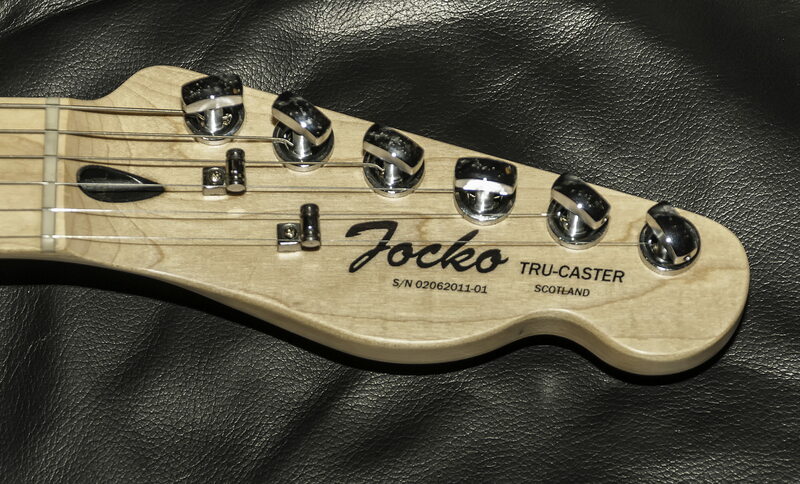 Like you, Jocko, I write on the string packet which guitar and when I changed them so I can always check how long strings have been on each guitar. Life was easier when I only had one guitar as I always played just that one and its strings always were changed often. 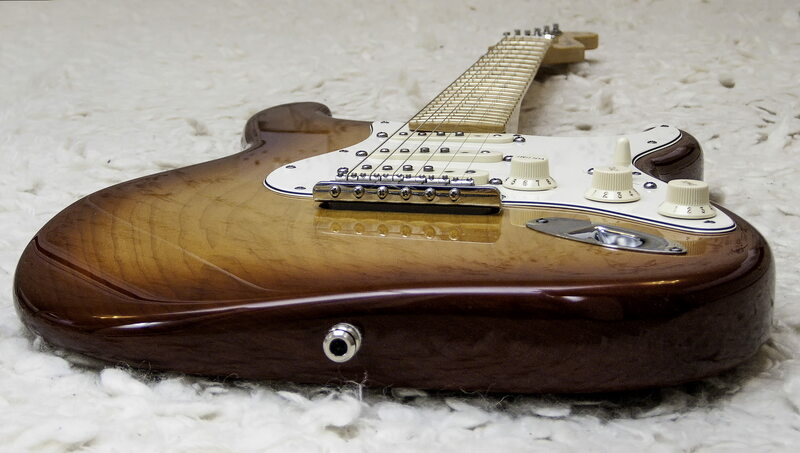 Ah yes, the sienna-burst strat - it's an absolute stunner, never tire of seeing that one. 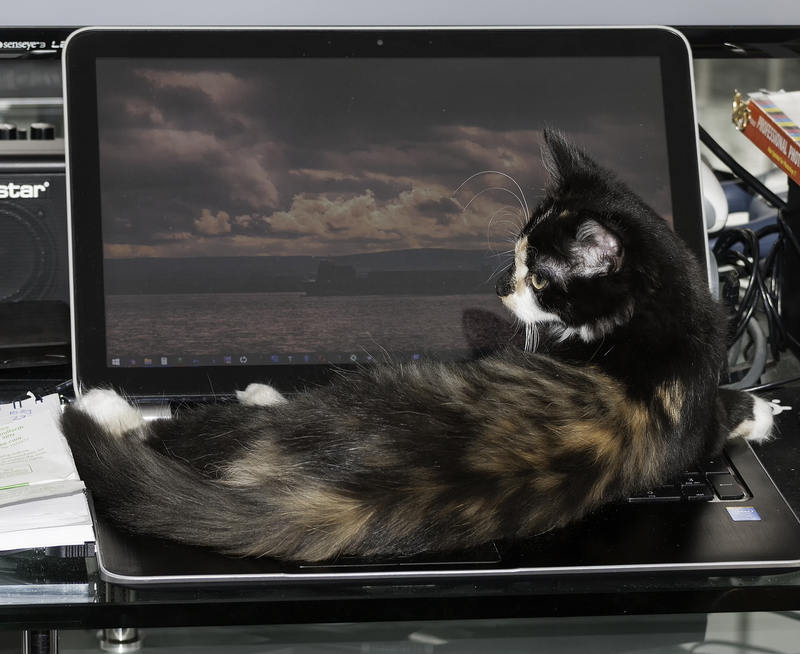 Lovely cat also! Re string changing - I too should do it more often. Although I have a set of Elixir Optiwebs on my ash-body strat at the mo that are going strong after several months. I did recently change the strings on one of my Shine 510s (the grey-black burst one) and it made a heck of a difference - trouble is, the deterioration in tone is gradual, and I kind of don't notice when it's gone too far. I think I will replace the strings on my red Shine (the one I am playing 2 hours a day) as after the Vee they do sound dull. Don't know why, they have only been on for 5 years. Change 'em! It's personal taste, but I still love my two Shine 510's, and they get used constantly - wonderful, great-sounding, versatile guitars I find them to be. Changed the strings on my red Shine. The ones which were on, for three years, were cheap and nasty no-name strings. I had purchased a couple of sets, when I was experimenting with setting a guitar up as a banjo. I put a set of Ernie Ball Cobalt Regular Slinky on, 10s. I have a question. Do strings have a shelf life? The strings I have been fitting have been in my strings box for four or five years, sealed in their original packaging, but some of the strings I have fitted recently looked a bit "spotted". I can only speak from my own experience, which is that yes, strings can deteriorate somewhat over time, even just sitting unused in the packet. That said, I've used strings that looked a bit "spotted" as you describe, and they were still basically fine to use - mainly a cosmetic issue perhaps. You're all very organised with this dating of string packets! I'm afraid that I just wait until the sound becomes too dead or I start to get intonation / tuning problems. Thankfully that's usually well before the strings start to get spotted and rusting. There's nothing quite like sliding your finger up a guitar string and hitting a rusty spot. A joy that I've had a few times at one of my least favourite guitar shops. Changed the strings on my Trucaster. The old ones had only been on 5 years! I am popping along to my brothers tomorrow, for a jam session, and had intended taking my restrung Strat, but strings I had ordered from Amazon arrived quicker than expected, so I will take Blondie with me. What a difference the Steinberger Gearless Tuners make. So easy to restring, very accurate to tune, and the new strings don't slacken off (no settling in period). They were expensive to buy (I believe they are discontinued now), but I am glad I got them. 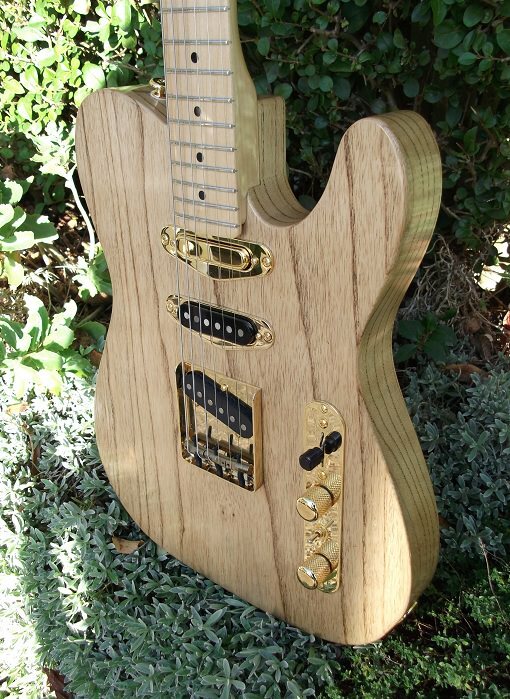 Love that guitar - as you know, and forgive me for repeating it, but it inspired me to build my own tele, and that started me building other guitars from parts, and I'm now three strats and an 'own design' further down the road. 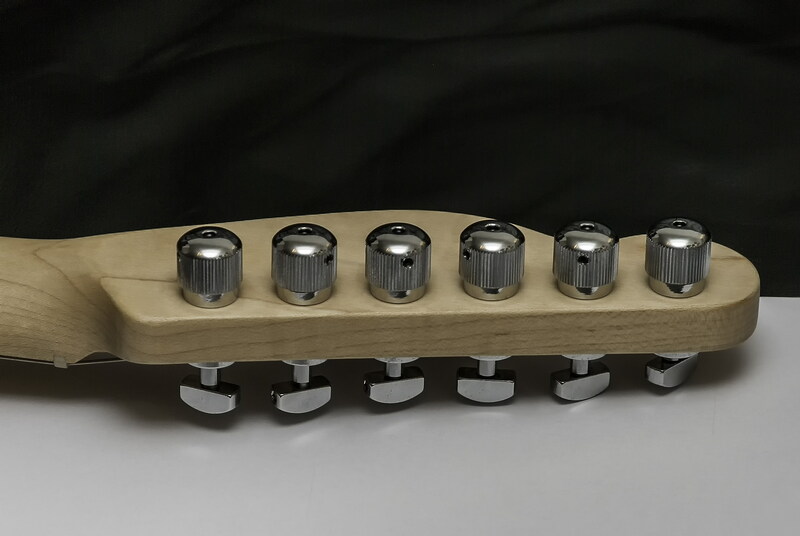 I would be interested to try those Steinberger machine heads, and they certainly look the business, but probably will never get the chance now I suppose. Is that engraved hardware new? Never noticed that before. Just reflections playing tricks on the eyes I think - no engraved hardware, but it's an interesting idea! The bridge and the control plate looks engraved. Now that would sell! Engraved hardware would just make me think more bloody cleaning! There are enough places for dead skin and finger grease to hide without making it worse. But it would look very fetching. I remeber back in the late 70s early 80s guitar mags there was a carved strat body that was being touted. I wonder what these look like now? Anyway each to his or her own taste. I imagine a nice patina would improve it even more.